Smartphones in this touchscreen form are not among us for a very long time. Even though before the year of 2007 the origin of app based mobile phones existed within variety of BlackBerry brand models and prototypes in Nokia and NTT DoCoMo labs, only after capacitive touchscreen matured enough to be industrialized and embedded into popular handheld devices, the smartphone revolution started to be really interesting and competitive. Today, after only a decade the smartphone market is one of the most valuable on the planet and apps stores reached the limit of 2 million per platform. There are literally zillion of apps out there and browsing the apps libraries became the real effort. Anyhow, today and after dozen of years after first touchscreen smartphones (LG Prada and iPhone) hit the stores, Viktor and I decided to film/write about dozen of apps that are little bit unusual and extraordinary compared to those that are used on daily basis by most of us. To start with, let's first present the latest video from the zViktor22 channel and our recent collab. I hope you would like it, even though it ended pretty long, almost half an hour in length and if you haven't heard of some or all of the apps we were testing within, it could be entertaining and educational. If it proved that way, you know the drill, please like and subscribe and/or add some comments at the end. It would mean a world to us. Before I add a word or two to describe screenshots from the apps, it is only fair to mention one more app that we tested with this video creation. Suitably for this title, this entire video is edited in an app as well. The name of this really great app is Animotica, designed for Windows 10 and all I can say is that it is a valuable competitor for the Movie Maker and Shotcut desktop applications we were using regularly for Viktor's channel so far. Only couple of features were missing for this amazing app to became a worthy rival even for software with suffix "pro" in their titles. Smartphone applications we were testing were all Android editions but I am sure for most of them if not them all, they could be found within other two major operating systems as well. We started first with apps designed for the outdoor. For this occasion, we chose "GPS Compass Navigator", "Last Survivors" and "CycleDroid". Like Viktor said in the video, first two could become handy if apocalypse strikes, especially the second one which is one great offline database of survival skills. 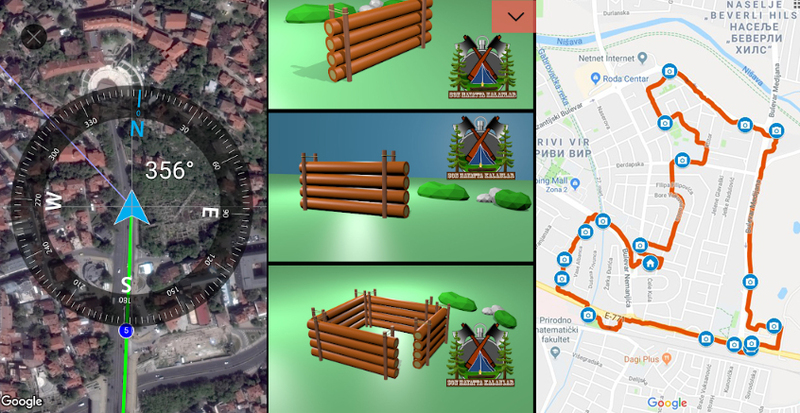 For the GPS compass, it might not be really useful in such event as it requires operational GPS satellites but it was one of the best compass related apps with maps in overlay included which is ideal for camping. CycleDroid is one of those few apps that we are using on regular basis. It is basically tracking you while riding a bike and saving database entries of all cycling details including maps. The biking map files are using recognizable formats and could be easily imported into Google Maps for example. Sometimes it could be extremely fun - like in above screenshot from the app, one of our cycling trips in the past accidentally painted a "sitting bear" shape on the map. We probably couldn't do it in such detail if we tried painting with streets on purpose. 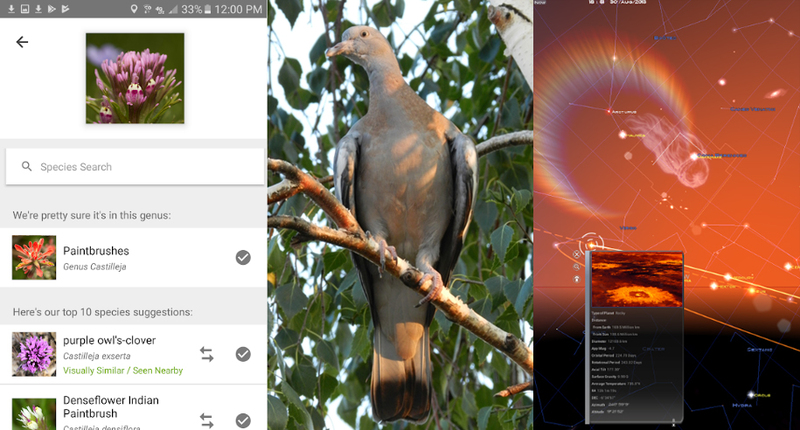 Next three apps from the above screenshots belong to scientific experiments you could do with your smartphone. Perhaps the most interesting is the one in the middle - the app that can play a continuous beep by choosing frequency and amplitude. 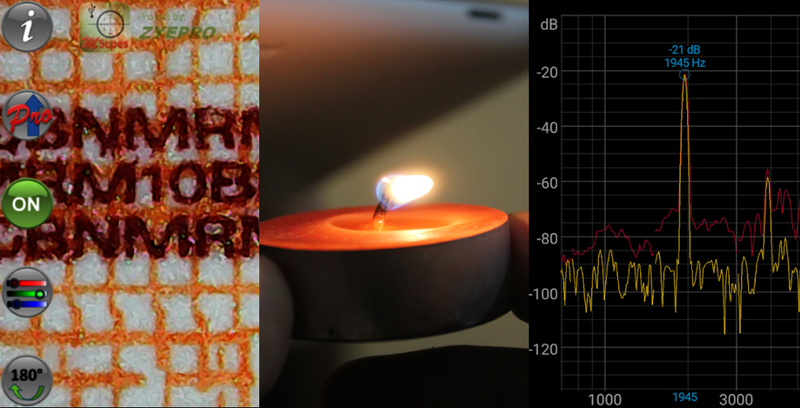 In our case 1400Hz was able to put out the flame of a candle! Of course, peeking into micro world is always fun and first app in the list was able to take image from external camera, in this case digital microscope equipped with powerful LED light. If you want to learn more about it hop to Smart Microscope story from earlier post or Digital Microscope video from Viktor's channel. Surely, the biggest power from the smartphone is the global network, the internet coming either from mobile network or wireless receiver. However, we are taking it too much for granted and even our smartphones can't operate in full capacity without mighty internet today, smartphones are able to communicate even without it just by using it's network parts. Just like 'Walkie-Talkie' from previous century, by using extraordinary apps like "Walkietooth", "Offline Chat" or "FireChat", we can pair two or more smartphones into private small wireless mesh network and use it in the wireless range. The video shows how to do it in much greater detail. For the next section we are going outdoor again with two amazing games. 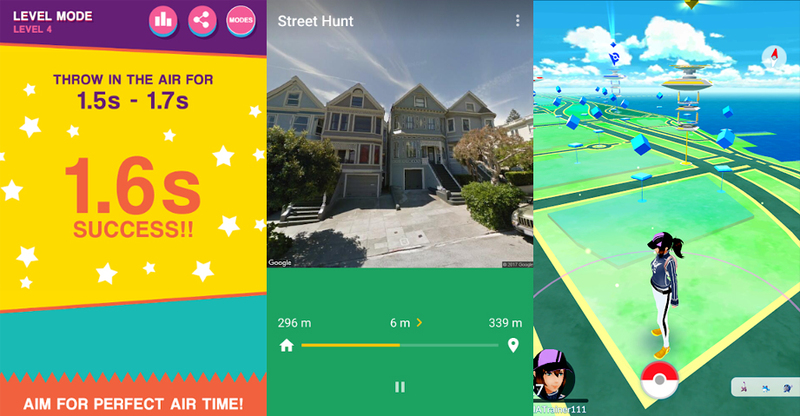 "Street Hunt" and "Pokémon GO" are great representatives in mobile gaming industry. While you probably know a bit or two about catching pokémons in your favorite parks, hunting a secret location is also extremely fun and yet as simple as one such app can be. Plainly put, it chooses a nearby location from Google maps and your task is to hunt it down. If you want to play it with friends, unlike "Pokémon GO", there is no rules but those you created by yourselves. The last section and final two apps belong to the educational realm. I left these two for the end simply because I liked them the most. I have to admit that I learned about "iNaturalist" while I was researching the apps for this collab. This is sort of a social network that helps with identifying species. The idea is simple - just photograph unfamiliar plant, insect or animal, send it to the app and automated algorithm and people will identify it for you. Last summer one strange bird landed on the high branch of our birch tree, Viktor and I took the photo and to test iNaturalist uploaded it for identification. Only couple of hours later we got three matching recognitions. Common Wood-Pigeon. 100% correct. Amazing! The last, but not the least, comes "Star Chart". 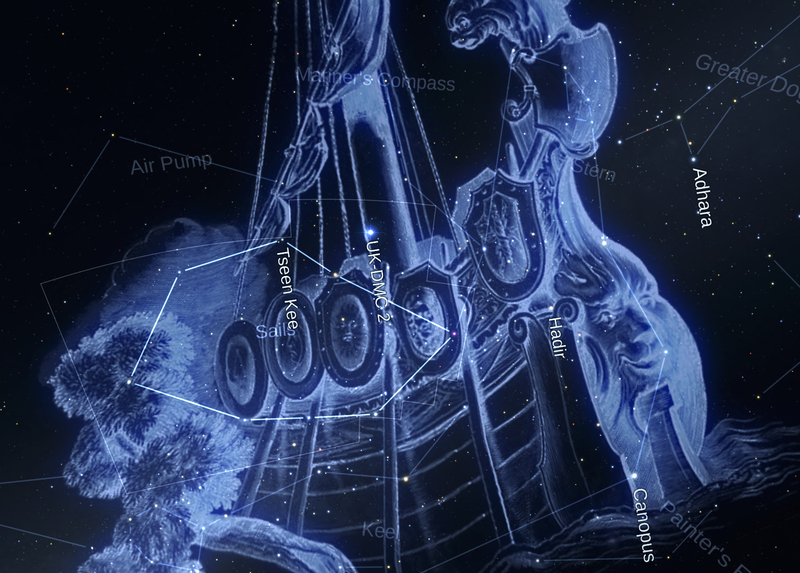 The app that uses all the orientation sensors from the smartphone to identify its position in 3D space and with addition of GPS coordinates creates an augmented reality view toward the stars and all the visible and invisible stellar objects known to man. If you own a small educational telescope this is something you need in order to know where to point it. It served me well before when I wanted to show to Viktor's friends Jupiter's moons, the most famous constellations and stars, Mars' redness and Saturn's rings but even without the scope, it's educational value is priceless. At the very end of the story about extraordinary apps we found exiting, useful or just fun I am enclosing the links for all the apps from the post and video. Hopefully you will find a home for some of them on your smartphone as well or at least inspiration to search for more.